I did not know much about maple syrup when we moved to Canada 15 years ago. I grew up in India where if you needed sweetener you reached for cane sugar in it’s raw form (gur or jaggery) or as white crystals. 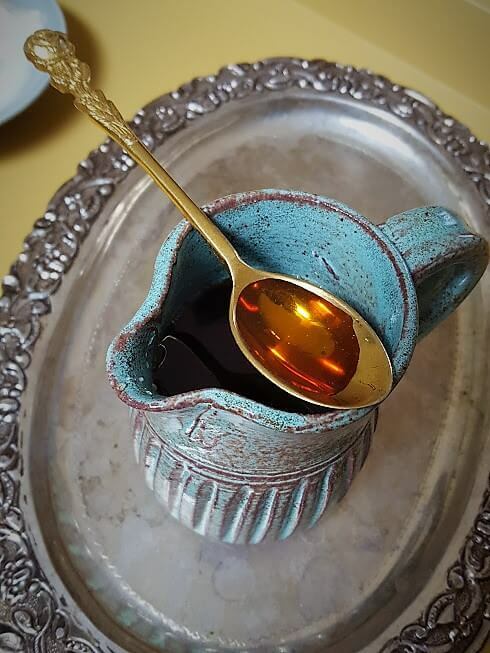 If there was a need for syrup, honey was always available. It was only when we moved to North America that I started to experiment with different varieties of sugar. And then in our very first year in Canada on a visit to Ottawa I came across maple syrup. Sticky, flavourful, aromatic and very Canadian maple syrup. 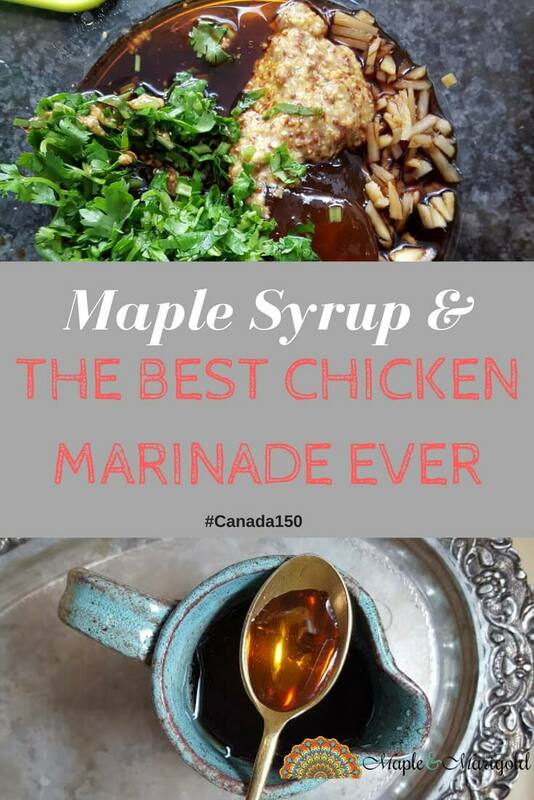 Maple Syrup is quintessentially Canadian, so much so that when I was brainstorming names for my website, Maple and Marigold, maple was first to come to mind. The red of the maple leaf and the deliciousness of maple syrup! It’s so Canadian that when we have friends visit from outside of Canada, they buy maple syrup as a souvenir to take back with them. And of course when we make a trip back to India there’s always a bottle or two of the golden stuff that makes its way into our suitcase. 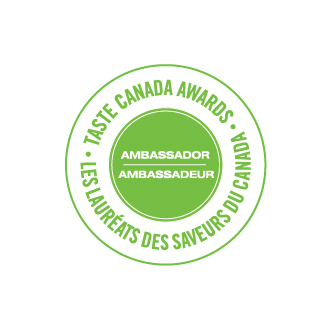 This year I’m delighted to be participating in the Culinary Historians of Canada Food Challenge for Bloggers. As a part of this monthly challenge we are honouring Canada’s rich history of food through articles from bloggers around Canada. When I read this month’s theme, “Maple Syrup – A timeless Canadian tradition,” I was excited. As an ingredient it’s close to my heart and it feels just right as we celebrate Canada’s 150th anniversary. March is considered the season for maple syrup because it’s sugaring time in Ontario. Maple syrup is made from the sap that is found just inside the maple tree’s bark. And when the nights are cool and the days are sunny, the sap rises and is ready to be tapped. Over the years we’ve visited a few working farms around Toronto and walked through row after row of quiet maple trees, checking in on buckets nailed to the trunks of trees. I wish I had a picture to share with you. The liquid that is collected is clear and quite subtle in flavour and sweetness. It needs to be cooked and concentrated to transform into the dark maple syrup we are familiar with. There are many sweet and savoury recipes that can be made with this liquid gold and it’s become an important part of my pantry. Drizzled over yoghurt or pancakes, blended in smoothies or whisked in the best chicken marinade in the world, I kid you not, the options are really endless. Enough for 8 chicken thighs or equivalent. I’ve used the same recipe with tofu and it is delicious. 2. Scoop over the meat or tofu, and marinate for 1-2 hours. 3. This is quite a dry marinade and there may be a need to rub it in to make sure the chicken is covered completely. 4. Pan-grill or bbq the meat afterwards. You need very little oil. 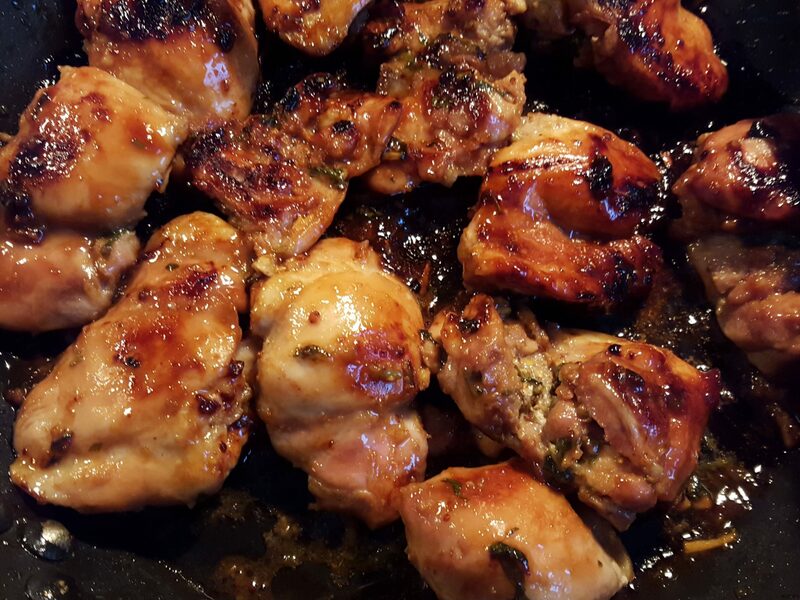 You can see an easy chicken recipe here that uses a version of this marinade. Enjoy! 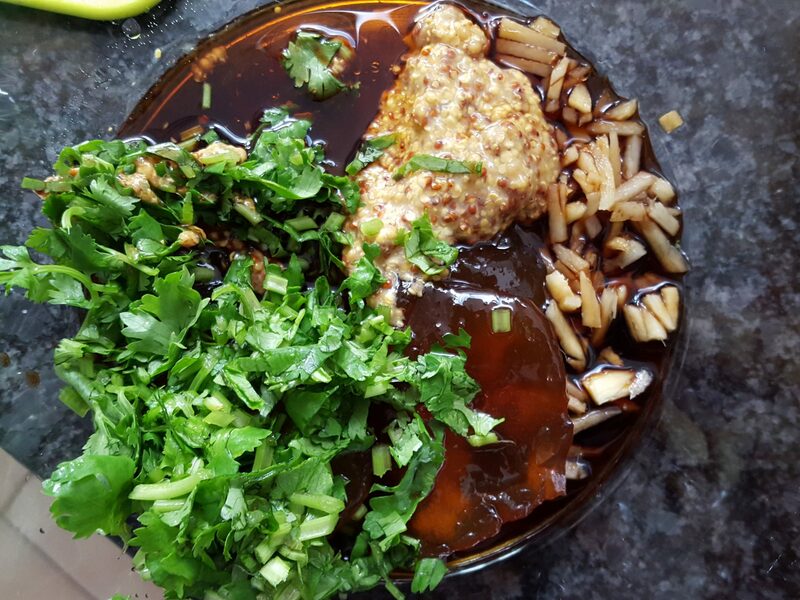 I am a vegetarian but craving for this chicken seeing these yummy pics. I am sure it is good. With a title like that, i will definitely have to try it! It is pretty awesome – even my kids agree 🙂 and it’s fool proof.